Don’t sabotage your own debt relief strategy by taking actions that can set you back. Credit card debt consolidation can provide a faster, more cost-effective way to eliminate your debt. But it is not a magic bullet that works in all situations regardless of how it’s executed. You have to take the right steps in the right circumstances in order to be successful. Otherwise, your solution could potentially make your challenges with debt worse. Interest rate is too high Payments get eaten up by accrued monthly interest charges, which slows any progress, making it impossible to reach zero. Repayment term is too long Increases total cost, making debt elimination inefficient and increasing the chances you’ll drop off. Monthly payments still don’t fit your budget You can’t keep up with the payments, leading to default and collections. You take on new debt too early. If you start charging before you complete your consolidation plan, you end up with more debt instead of less. Your situation changes, due to job loss or a medical emergency. 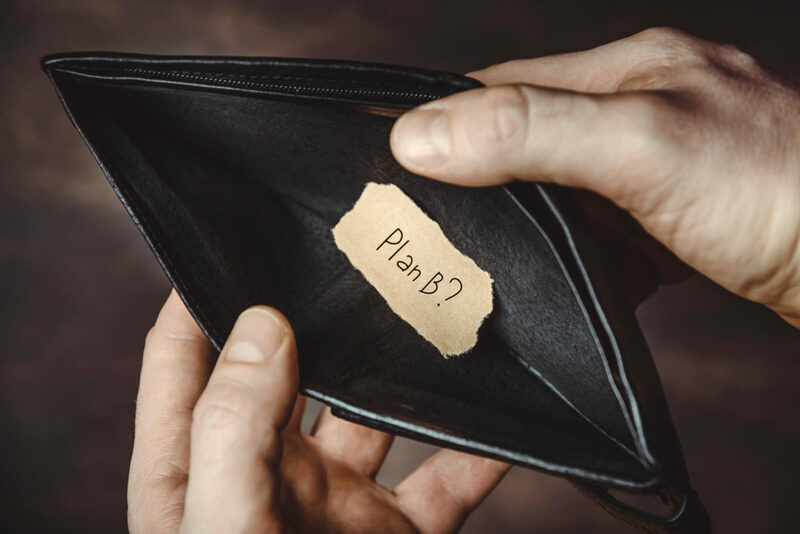 Any change in your income can prevent you from keeping up with your elimination plan. Debt consolidation for credit cards works on one principal: It must reduce or eliminate interest charges to be effective. No matter how you consolidate high interest rate credit card debt the goal is always to minimize interest charges as much as possible. Th reasons is that high interest charges eat up about half to two thirds of every minimum payment you make. Basically, by reducing the interest rate applied to your debt, you can get out of debt faster. You may even pay less each month to do it. But that can only happen if you cut the interest rate applied to your debt. Let’s say you can have $10,000 in credit card debt at 20% APR. The minimum payment would be $250 on a standard 2.5% minimum payment schedule. However, $167.67 of each payment would cover accrued interest charges. That means only $83.33 of your payment would pay down the principal – that’s the actual debt you owe. As a result, it could take over 400 payments to eliminate your debt in full; you’d pay total interest charges of $19,197. Effectively, you almost triple the cost of your debt by paying it off at 20% APR. What interest rate do I need to consolidate credit card debt successfully? 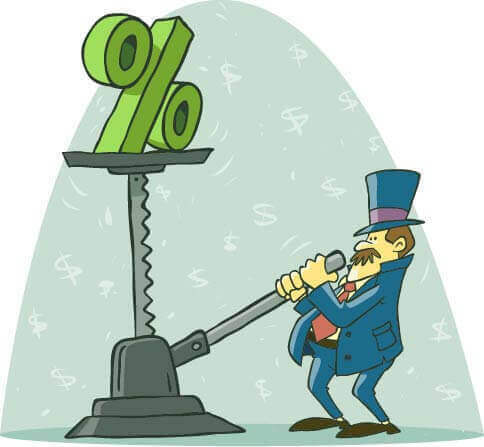 At most, the interest rate on consolidated should be no more than 10%. However, ideally you want to aim for a rate that’s less than 5%. This will dramatically improve your ability to pay off your debt efficiently. If you can get a rate of around five percent, it should offer the relief you need. The risk of consolidating at a higher rate is that you won’t be able to pay off your debt efficiently or quickly. You will still feel like you’re on the payment treadmill. Your balances won’t go down like you want them to and you’ll keep throwing money away on interest charges. This factor relates somewhat to interest charges, but it’s most closely tied to the term of your repayment plan. The term is a fancy word for the length of your repayment plan. For instance, the term on a debt consolidation loan is the number of months or years it will take to reach zero. Essentially, when you take more months to pay off your debt, you increase total costs. That’s because there are more months to apply interest charges. Let’s say you want to eliminate that $10,000 in debt from the example above. However, even making the minimum payments of $250 per month is tough on a limited budget. So, you want to consolidate to lower your monthly payments. On minimum payments, you will make 403 payments with total interest charges of $19,197.07. So, instead you get a debt consolidation loan at 10% APR. However, to get the lowest payments possible you choose an extremely long term – 360 payments. The monthly payments will definitely be affordable. You’d only $87.76 per month. The only problem is that you’re in debt for 30 years. When all is said and done, you end up paying $21,592.58 in total interest charges. So even though you get out of debt slightly faster, you increase your total cost. This solution is effectively even less beneficial that just toughing it out on a minimum payment schedule. What term should I aim for when consolidating credit card debt? Most experts recommend that you want to aim for a term of five years (60 payments) or less. Any more than that runs the risk of increasing your total costs too much. It also creates a scenario where you get hit with repayment exhaustion. This is basically like binge eating after too many months of sticking to a diet. You get tired of budgeting and cutting back, so you end up going on a credit shopping spree to splurge. It’s not a good recipe for eliminating debt. It’s worth noting that this issue with term happens more commonly with student loans. A standard student loan term is 10 years. Federal repayment plans increase the term to 20-30 years. So, you pay off your student loan debt in about the time it takes to pay off a traditional mortgage. It’s too much and often just leads to more challenges with debt. Just because you lower the monthly payments for your debt, it doesn’t mean it will automatically solve your budget challenges. If the payments aren’t low enough, then you could still struggle to make ends meet. And that could spell disaster for your debt elimination plan. In order to avoid continuing challenges with debt, you must ensure that you can afford the consolidated debt payments. You also need to be able to afford all your other monthly obligations and necessary expenses. Otherwise, you’ll either continue to rely on credit cards, which only increases your debt, or you’ll be unable to make the payment on your consolidation plan. How do I fix my budget to ensure I can afford my consolidated payments? Ideally, you need to maintain an income-to-expense ratio of 1.25 or greater. This means that your expenses only use up about 75% of the income you take home each month. This will help you avoid juggling bills. Plus, if an unexpected expense comes up, you won’t need to rely on credit cards to cover it. Instead, you can use that extra 25% of free cash flow to pay for it. What do I do if I start to fall behind? This depends on what method of debt consolidation for credit cards that you used. If you used a balance transfer credit card and fall behind, the creditor could send the debt to a collector. This typically only happens after 6 months of nonpayment. A debt consolidation loan would go into default. Again, the lender may send the debt to a collector. If you used a debt management program and don’t keep up with the payments, you can get kicked off the program. However, if you call the credit counselling team in advance, they can help you make special arrangements. There’s a built-in challenge that comes with most solutions for consolidating debt. That is that you zero out the balances on your existing credit cards. This can be really tempting if you have credit dependence – the urge to make charges can be hard to ignore. So, what happens is this: You consolidate your debt at a low interest rate that provides the relief you need. But with zero balances calling, you start making new charges. This means that before you have a chance to pay down your debt, you’re already adding to it. Instead of decreasing your debt, you now have the consolidated debt to repay along with all your new balances. Depending on how fast you run up new balances, it’s basically taking one step forward and three steps back. You wind up with more debt instead of less. There is one solution for credit card debt consolidation that can help prevent taking on new debt too early. That’s a debt management program, which is a professionally assisted form of debt consolidation. You work with a consumer credit counselling agency to enroll and they oversee your journey out of debt. When you enroll in a debt management program, your creditors freeze your existing accounts. You can’t make any new charges until you complete the program. You also can’t apply for new credit cards until you graduate. The counselling team helps you balance your budget, so you don’t need to rely on credit to get by. Although this can be tough at first, it is a way to help force a break from your dependence on credit. 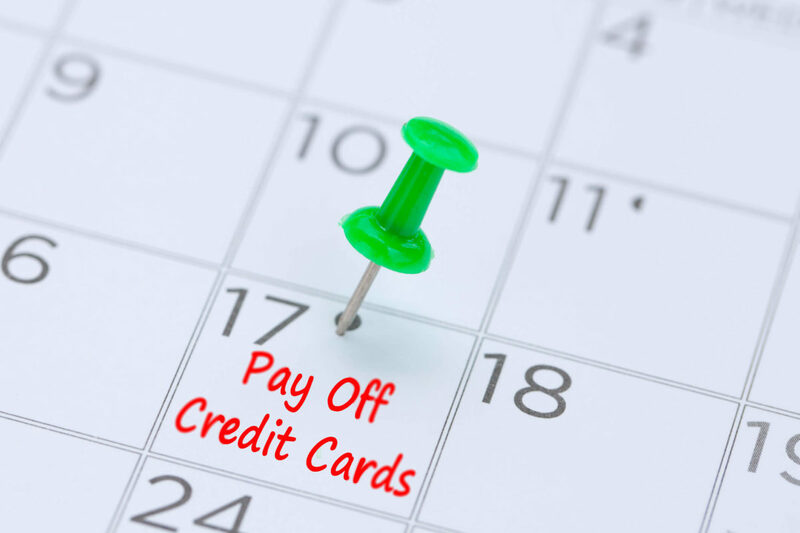 Even if you choose the right option for credit card debt consolidation in the right circumstances, things can go wrong. If you lose your job or you have a serious medical emergency, it can prevent you from keeping up with your payments. So, even the best laid plans for debt elimination can go awry. Try to reorganize your budget to ensure you can keep up with your payments. Call the creditor or lender to ask for forbearance, which pauses your repayment schedule until you can catch up. Reconsolidate if it will allow you to achieve an even lower payment. As long as you have some means of making a payment, you should be able to find a solution that works. If you’re using a do-it-yourself solution like consolidation loan, call a certified credit counsellor. Debt management programs usually lower a client’s total payments by up to 30-50%, which could provide the relief you need.